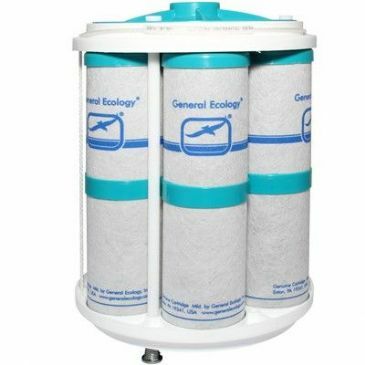 General Ecology drinking water purifiers rid fresh water tanks of tank taste and more. 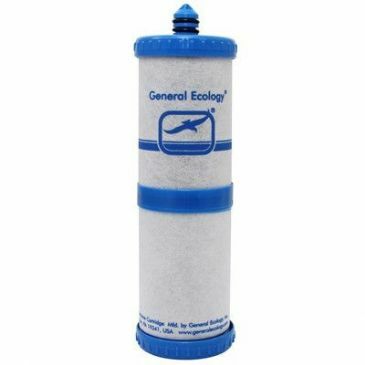 We are proud to be UK stockists of the General Ecology drinking water filter system range. Most filters are intended to remove some taste and odors. 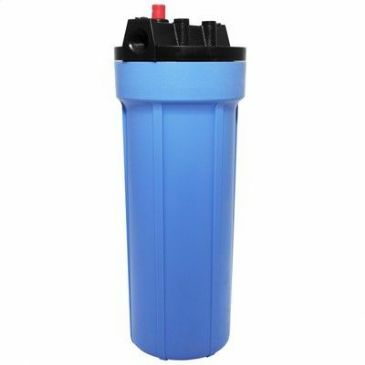 Only a small selection of the very best water filters may remove specific protozo, and possibly certain aesthetic contaminants, providing a lesser standard of protection than that of General Ecology water purification systems. General Ecology's "Structured MatrixTM" technology is independently certified to USEPA Purification Standards against all three classes of waterborne disease organisms - parasitic cysts, bacteria, and viruses - instantly, without pre/post treatment, without wasting water and without electricity. Outstandingly effective, they also remove chemical and aesthetic contaminants, providing superbly refreshing, spring-like water for a naturally healthy lifestyle. V-Clamp (Heavy) X1 & X2 seagull (R) IV purifier. All new Nature Pure QC2 Series point of use drinking water purifier introduces enhanced performance and great new convenience features to the original Nature Pure series first introduced over 20 years ago. 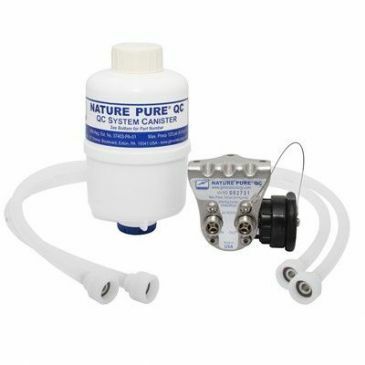 Nature Pure QC2 offer 0.8 gallon flow rate ideal for ice-makers, RVs, and smaller boats in fresh water applications. Seagull IV X-1F is an award winning one gallon per minute under sink purifier with a dedicated chrome finish faucet. A beautiful combination of form and function, Seagull IV water purifiers combine our advanced "Structured Matrix" technology with the strength and endurance of modern materials. 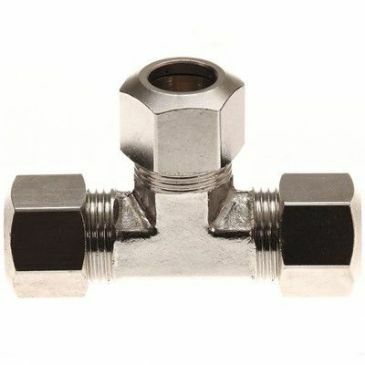 Nickle plated, Brass 3/8" tee compression fitting. For use with the General Ecology Seagull system. 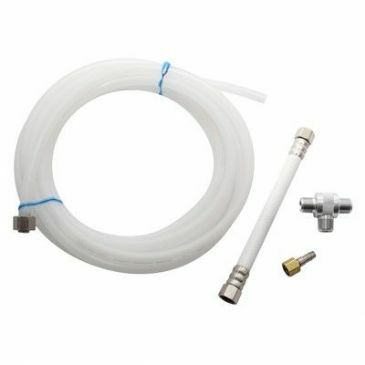 Hose assembly 30" for NP/X-F c/w SS Barb. Aqua-Polish 7 (AP-7) modules employ General Ecology's uniquely effective "Structured Matrix" technology, and high efficiency adsorption materials. The AP-7 matrix is rated at 3 microns which is small enough to physically remove microscopic and visible dirt and scale, and many other larger particulate contaminants. Aqua-Polish, like SEAGULL IV cartridges, employ "structured matrix" technology, incorporating high-efficiency adsorption materials. The Aqua-Polish matrix is rated at 3 micron retention which is small enough to physically remove microscopic and visible dirt and scale sediment, and many other larger particulate contaminants. The Aqua-Polish matrix is rated at 3 micron retention which is small enough to physically remove microscopic and visible dirt and scale sediment, and many other larger particulate contaminants. Aqua-Polish cartridges provide maximum flow rates and capacity while remaining superior to many other filtration products in effectiveness. 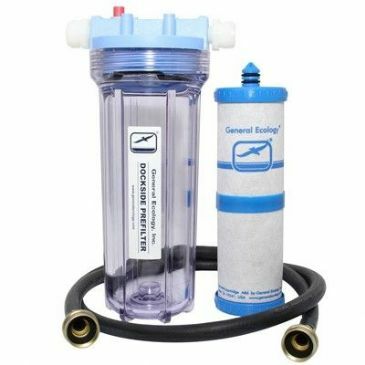 The Dockside Pre-filter System pre-filters fresh water you might use from dock side or marina sources while you cruise. The Dockside Pre-filter extends the life of Seagull IV Purification System you have installed on board and helps keep equipment running smoothly by filtering out many of the most troublesome contaminants. 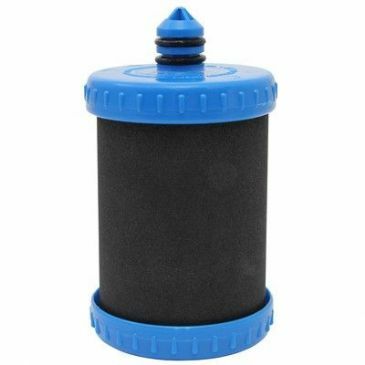 Designed to remove abrasive sand, dirt, rust and suspended particulates, the Dockside Pre-filter is sure to suit your fresh water needs. 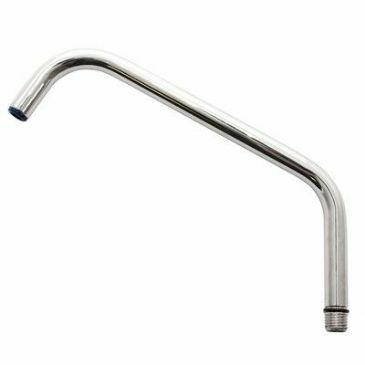 Faucet esprit (C) std threaded spout. Faucet FP GEI design SS thread ext. spout. 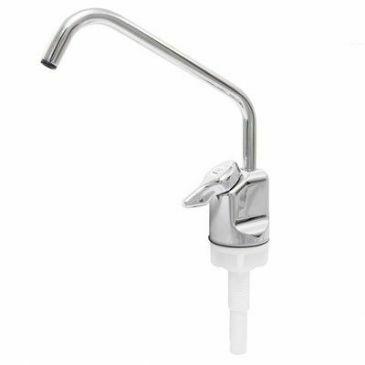 Pure water faucet with ceramic disc valve and stainless steel spout. Trav-L-Pure portable purification system is a favourite among travellers worldwide. 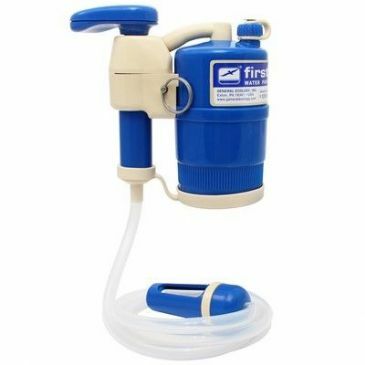 Easy to use, just simply pour water into the container and pump. With no dangling hoses or external accessories, it is completely self contained. Sealed canisters protect against personal contact with contaminants being removed. The award winning "Structured Matrix" technology purifies instantly without the use of chemicals or electricity. 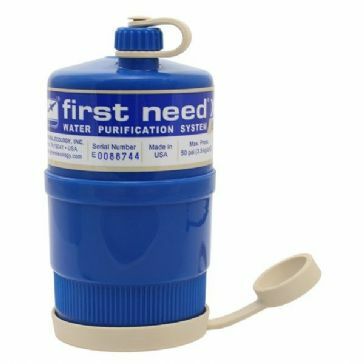 Lightweight, compact purifier with newly designed even better features including a newNEW Cleanout port and updated direct connect for popular trail containers, double-action field serviceable pump with no hold time, sealed canister with cover, tote bag, gravity feed and the tried and trusted award-winning "Structured Matrix" chemical-free purification technology. First need XLE replacment canister. 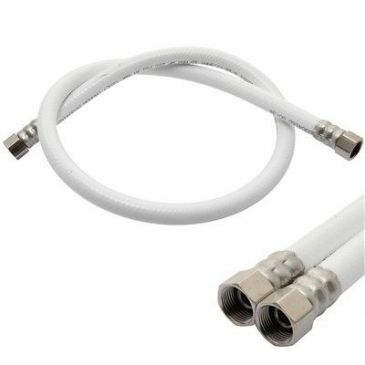 30" White braided hose complete with 3/8" barbed insert. Nature Pure QC1 offers the same overall benefits as the Nature Pure QC2 but in a smaller and lower capacity cartridge. Rated Flow = 0.4 US g/m with a 690 US gallon (2600 ltr) nominal capacity. 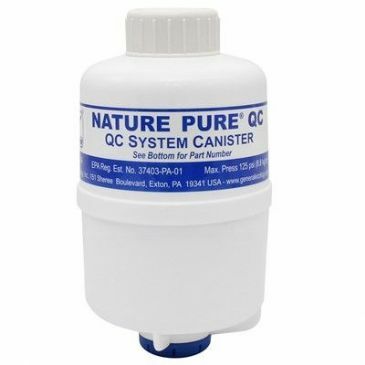 Replacement Canister (1.5 litres per min) for Nature Pure RS1QC Purification System. 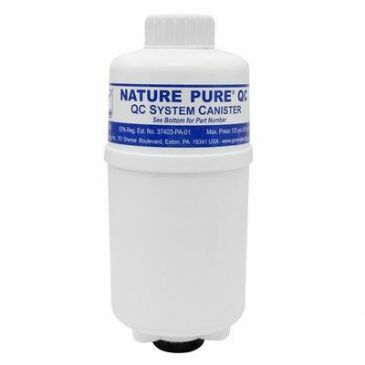 Replacement cartridge for Nature Pure(R) QC2 water purification system- chemical free "Structured Matrix" technology. 600 US gallon (2271 ltrs) average capacity. SC2QC offers higher capacity and higher flow rates when compared to the RS2QC canisters with the added advantage of providing downstream protection from lime scale and associated mineral deposits. The SC2QC canister should only be used where microbiological purification is not required. Rated Flow = 0.8 US g/m with a 2500 US gallon (9500 ltr) nominal capacity. 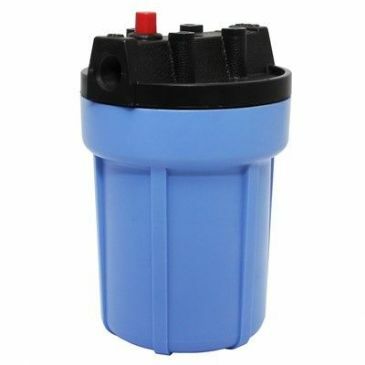 Replacement Cartridge for Nature Pure Purification System (White Housing). Nature Pure QC1 offers the same overall benefits as the Nature Pure QC2 but in a smaller and lower capacity cartridge. Rated Flow = 0.4 US g/m with a 690 US gallon (2600 ltr) nominal capacity. Nature Pure QC 1.5 litre per min Purification System. 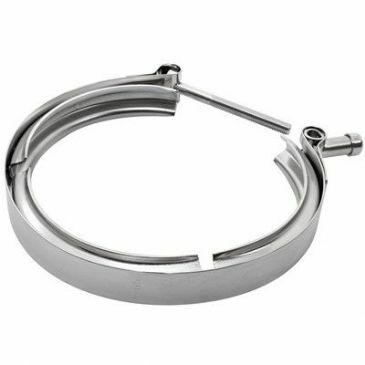 10" Pre-filter housing with 3/8 NPT(F) connections. 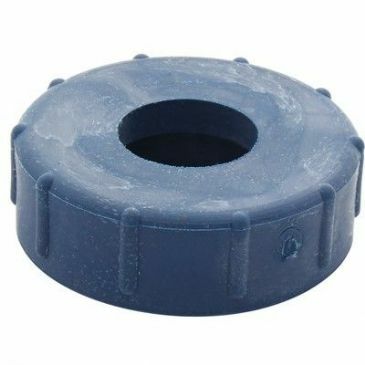 Dockside pre-filter housing designed for the Aqua -Polish 5" cartridge. Seagull IV systems have been independently certified to meet the EPA Microbiological Guide Standard Protocol for removal of bacteria, cysts and viruses. These systems also remove chemicals, particulates and foul tastes, colors and odors, for superior water purification. High capacity, fast flow chemical free purification against chemical, microbiological and aesthetic contaminants. Up to 1000 US gal (3800ltr) average capacity. High capacity, fast flow chemical free purification against chemical, microbiological and aesthetic contaminants. Up to 2000 US gal (7600 ltr) average capacity. 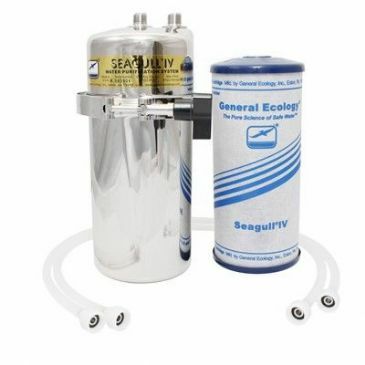 General Ecology Inc's Seagull IV X6 Water Purification provides top-quality drinking water for large capacity needs in a compact stainless steel housing. Seagull IV water purifiers are independently certified to meet EPA Microbiological Guide Standard Protocol for the removal of pathogenic bacteria, cysts and viruses, and excel at the removal of chemicals, particulates, foul tastes, colours and odours. Scale control filter for Seagull system. Seagull IV basic water purification system consisting of 300 series stainless steel pressure vessel containing the RS-1SG Structure Matrix water purification cartridge that combines ultrafine micro-straining with broad spectrum molecular capture and electrostatic removal. Operates solely from your pressurized water system and requires no chemicals, post treatment storage tanks, waste-water lines or electricity. 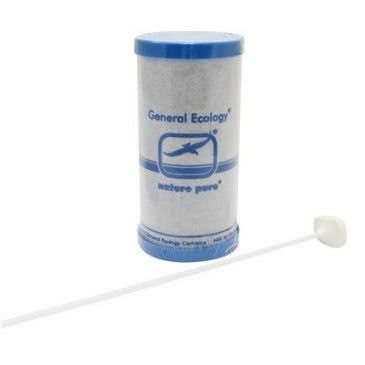 General Ecology's Spark L Pure system with Aqua Polish® 7 (AP-7) micro filtration modules, are intended for use with fresh water supplies that are considered microbiological acceptable relative to bacteria and smaller pathogens. 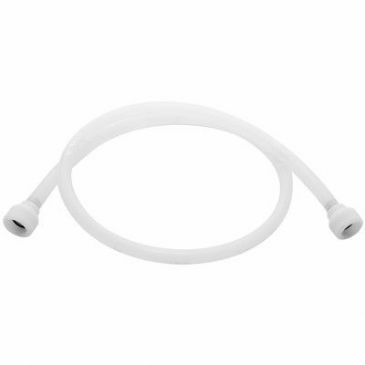 They offer a rated flow of up to 26 US gpm - more than enough for household, yacht or aircraft total water supply, and for many commercial and industrial applications. 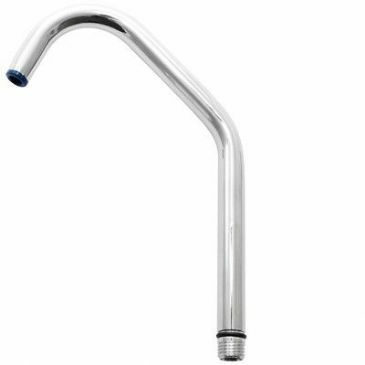 Spout assembly SS Ext 7/16" thread anti-microbial spout tip. 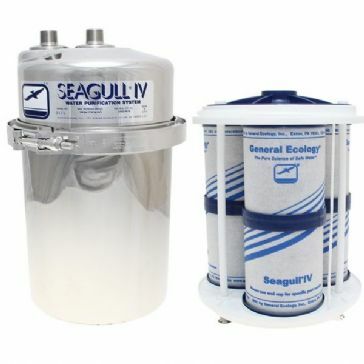 Seagull IV X-2KB is an award winning two gallon per minute under sink inline purifier for use with your existing faucet. A beautiful combination of form and function, Seagull IV water purifiers combine our advanced "Structured Matrix" technology with the strength and endurance of modern materials.